On Friday 1 February we all woke up to snow. The staff who were able to get to nursery have had lots of fun with the children. We made a snowman and had a huge snowball fight before going back indoors to warm up with a lovely lunch. This is the part of our jobs that we love. Unless we were here with your children some of us would have just been grown up children today playing in the snow! We would like to take the opportunity to thank our staff for their commitment. 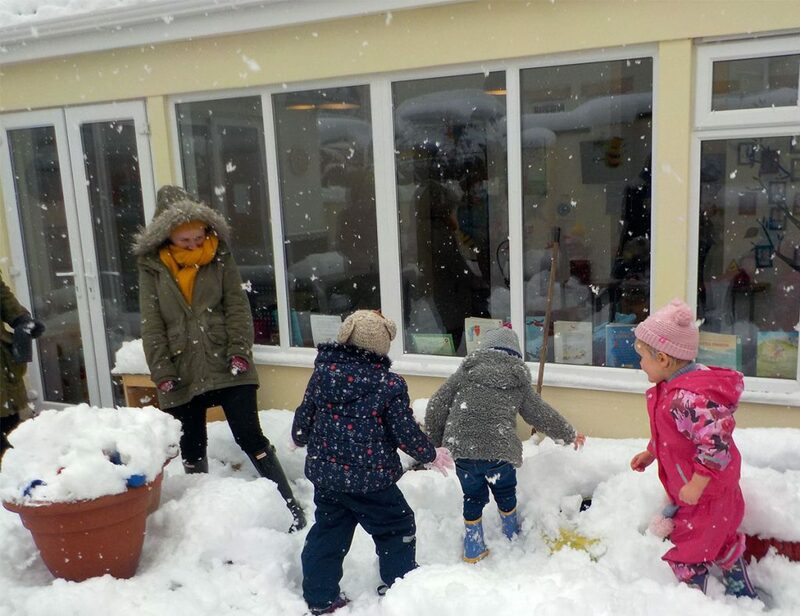 Some walked up to an hour and a half in the snow to be at nursery in time for their shifts. This is the dedication that our staff show towards you all, so you can fulfil your job roles.